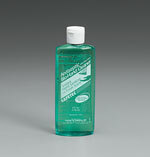 BioZide™ antiseptic bio hand cleaner gel, 4 oz. plastic bottle, 1 ea. 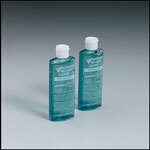 Our SBS sanitizing, no-rinse gel provides rapid reduction of germs on hands while reducing the risk of cross-infection. No towels are necessary since it's intended to be rubbed into skin until dry. Active ingredient: Ethyl Alcohol, 62%.